Valentine’s Day is a hard holiday to shop for. While roses and chocolate are always nice, they can end up feeling cliché this time of year. And trust me, no matter how pretty the wrapping paper, your boyfriend will know if you picked out his present at your corner drugstore the night before… So with Valentine’s Day right around the corner, I thought it would be helpful to share a few gift ideas that I love. Talk about sweet dreams. 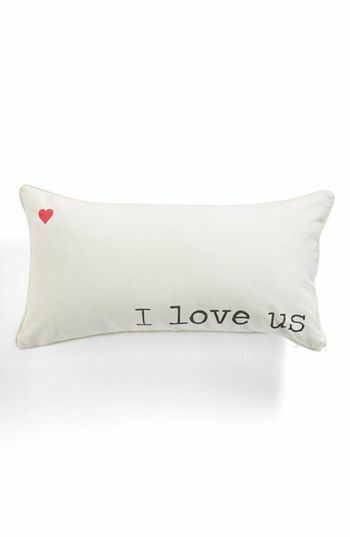 I love the chic, understated design of this throw pillow. 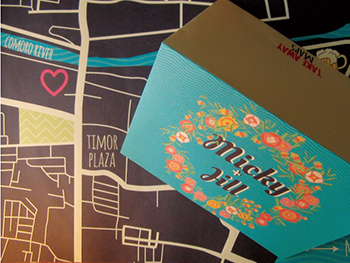 Take Away Maps creates custom maps documenting your love story. It’s such a sweet and thoughtful gift that you’ll have forever. 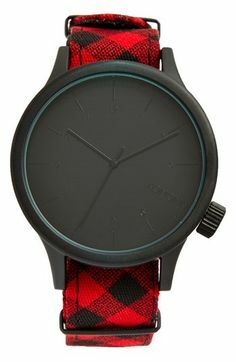 Your beau will wear this hip watch year-round, but the red is especially appropriate for a Valentine’s Day gift. 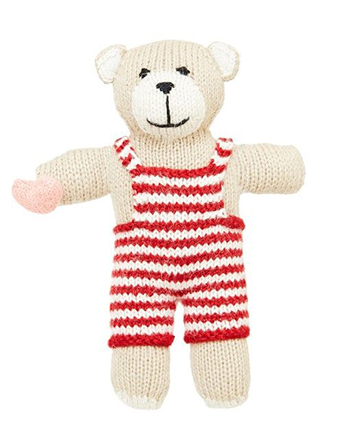 These V-Day bears are just too cute and go toward a good cause. 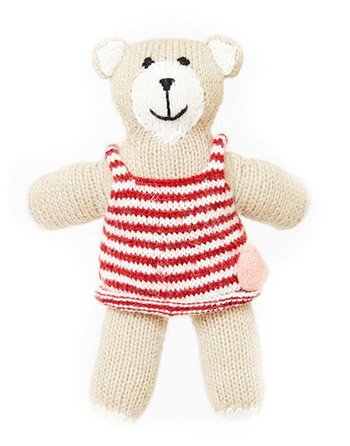 They are hand-knit by female artisans in Peru, and all proceeds go to V-Day, a global campaign to end violence against women. This bracelet is one of my favorite pieces from my Kohl’s collection. It’s fun and goes well with just about anything. iPhone cases are one of my favorite accessories, and I actually change mine out all the time. 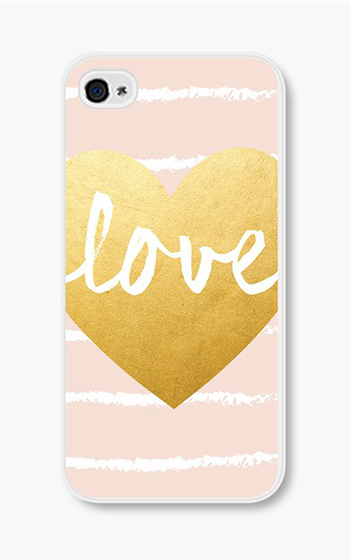 This sweet design is an adorable V-Day gift for a friend or loved one. 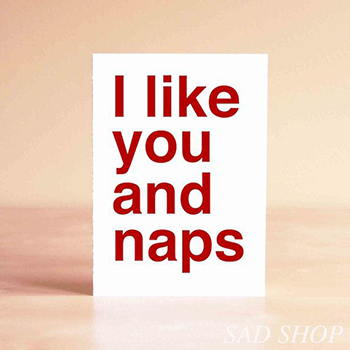 In my opinion, a funny card is the perfect gift for someone you just started seeing or a casual date. It’s flirtatious without being overly sentimental. 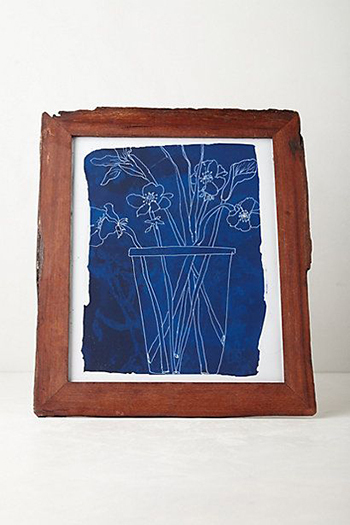 I love the idea of gifting a photo of the two of you in a rustic, boy-approved frame. 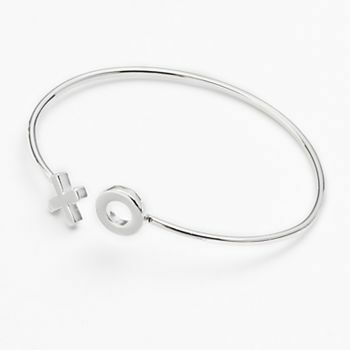 This lips bangle is chic a little bit cheeky at the same time. 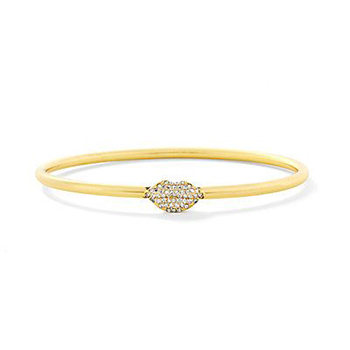 I’d love to add this thin bangle to my jewelry collection. 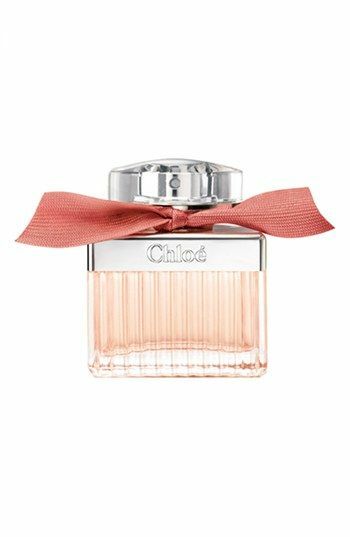 I recently came across Chloe’s newest fragrance at the beauty counter, and let me tell you—I love it. It’s a dreamy combination of bergamot, roses, and magnolia. (Hint, hint, William). Don’t procrastinate picking out a Valentine’s Day gift this year. A truly thoughtful present is a great way to show your someone special just how special they are. What are you getting your Valentine this year? Click here for a cute DIY gift idea too.